Just some kind words from some of our fave customers. There’s more where that came from. We're in it for a lifetime (literally and figuratively). "After a stressful move, and unpacking too many boxes, this body needed to see the delivery of my Hot Springs hot tub. But moreso, it's install, setup and fill up, I was only too happy to submerge my body in 104-degree water jets, set for Max that same evening. Retirement is now perfect..."
"My experience with IHT, most notably Willis Rebik, was phenomenal. Willis helped me find the best spa for my needs and provided excellent advice on using the ACE salt water system. I absolutely love the ease of maintaining this spa. I had a spa previously through another vendor and they basically washed their hands off me once I bought the spa. Not true with IHT. They are always so nice to work with and have been so quick to help me when needed. Lastly, the work Willis did in preparing my deck space for the spa was excellent. I wanted to put the spa in the yard, originally, and we ended up putting it in the deck. Willis said if it's too far away, you won't use it as often. He was right. I love having it right by the door. So nice in the winter when it snows!! His workmanship is outstanding, and I had the pleasure of getting to know him and consider myself lucky for it. Thank you so much for everything!!" "Great products, service and selection - these guys really know their stuff when it comes to hot tubs, fireplaces, stoves, saunas and swim spas. If you are shopping for any of these products in the greater Denver or Boulder area, you owe it to yourself to visit their showroom!" "I love my tub and the quality of my water since I started using Silk Balance. Michael is always so helpful and if I ever have any questions he is always there to answer them. I have had my tub for seventeen years now and it still performs as it did on day one. IHT is the best. I also have a gas log fireplace which I purchased from IHT. Love it too. Ask for Michael when you go in if he is not already there. Great customer service!" "Amazing combination of everything that water is good for. We were able to experience the E700 while at the Ironman Boulder Expo. There was ample room for any swim stroke. The current was smooth enough that our young daughters were able to swim as naturally as they do in their workouts. They were excited to use the E700 Endless Pool and even more excited about the treadmill and bike attachment for doing rehab workouts! My wife swam for about 30 minutes. The mirror on the bottom gave her great feedback on her stroke. Temperature was perfect. We loved that the whole family was able to utilize the Endless Pool." - Troy S.
Located a short stroll from the University of Colorado campus and Twenty-Ninth Street shopping and restaurants, our Boulder location is going nearly 40 years strong serving the community with wellness, fun and relaxation. We pride ourselves on outstanding service and attention to detail. 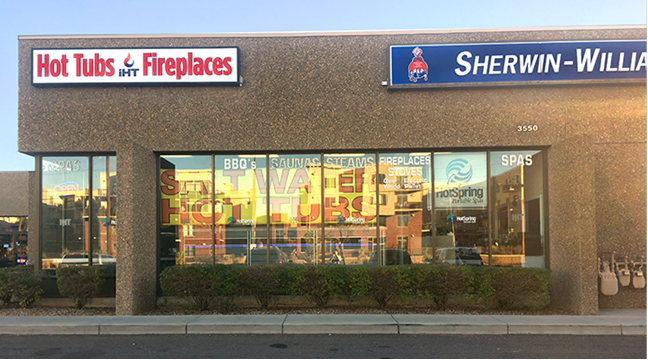 Our knowledgeable and friendly staff is well-versed in a large inventory of hot tubs, swim spas, fireplaces and accessories. 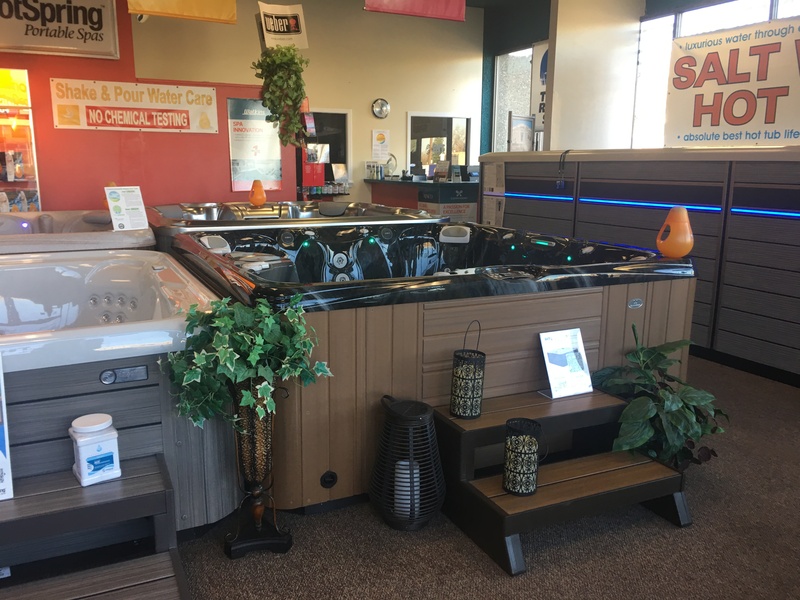 Some brands we carry include HotSpring, Caldera, Freeflow, Nordic, Endless Pools, Napoleon, Kozy Heat, Vermont Casting, Majestic, Big Green Egg, Weber, and many more. Boulder area sales staff include Chris Pinter, Jessie Shannon and Michael Thorpe. We will happily make a free trip to your home to scout your backyard living space for the ideal location for a hot tub. If a fireplace or hearth is more what you're looking for during these winter months, we'll take a look in your home for the coziest spot to add a little ambience. Stop by our location at 3550 Arapahoe Avenue, Boulder, CO next time you are out and about! We’d love to get to know you more and help you de-stress during the upcoming holiday season. It's our pleasure to bring wellness and stress relief to you and yours!